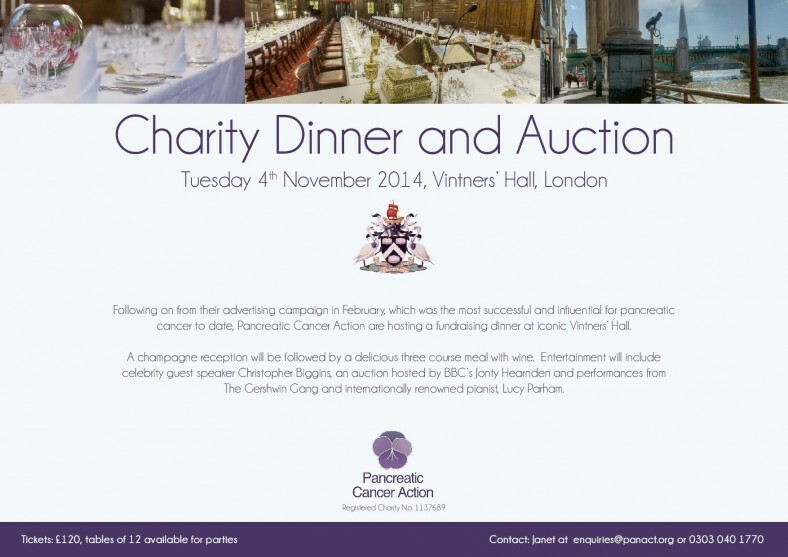 To raise money and awareness of pancreatic cancer during awareness month, we will be holding an exclusive fundraising dinner at the prestigious and stunning Vintners’ Hall on Tuesday 4th November 2014. We are inviting you to be a part of making pancreatic cancer history by attending. Guests will enjoy a champagne reception, a three course meal and top entertainment throughout the event. Please fill in the form below to book your tickets for this exclusive event or email [email protected] for more details.